In an ideal world, we’d all have as much time as necessary to style our hair before work. But in reality? We’re rushing. 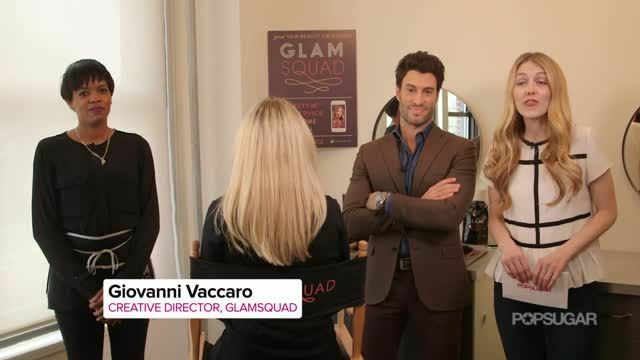 Enter Glamsquad – the beauty service that sends hair and makeup artists to your home or office – which is loved by celebrities, including Nicky Hilton and a number of Victoria’s Secret Angels. Glamsquad’s creative director Giovanni Vaccaro is a specialist when it comes to on-the-go styling, and he showed us three looks that can be re-created even on the most rushed of mornings. [grabpress_video guid=”b6c6be89a54541fb3de00321399c17e6d0858939″ embed_id=2161177]Thanks for checking us out. Please take a look at the rest of our videos and articles. Sam loves having a name that’s gender neutral, just to confuse everyone. You’ll usually find Sam doing something Sam’s not really supposed doing and causing mayhem everywhere Sam goes. What does Dry Shampoo Do?